Maoist supporter outside voting station, April 2008. The following speech is by Baburam Bhattarai, one of the Vice Chairman of the Unified Communist Party of Nepal (Maoist). Bhattarai is generally associated with a current who believes the situation is unfavorable for seizing power. Bhattarai presented this speech – “Post-Conflict Restructuring of Nepal: The Challenges and Prospects” – on March 26 at the Institute of South Asian Studies at the National University of Singapore. We would like to point out to our readers that the views in this speech do not reflect the line of the UCPN(M) overall. Public statements by other Maoist leaders such as Kiran and Prachanda have pointed to different views. We provide this speech in one piece, and emphasize that this does not imply endorsement of the views presented, but we share for the purpose of informing our readers. This originally appeared in two pieces from ekantipur.com here and here. UCPN (Maoist) Chairman Pushpa Kamal Dahal claimed on Monday that his party would not split as it is obvious to have minor differences inside a big party. Speaking at a programme organised to welcome new entrants to the Maoists at the party headquarters in Parishdanda today, the Maoist chairman said that some minor differences within the party is giving the impression that the party is splitting, but that’s not going to happen. At a time when speculations are rife that the Maoists party is on the verge of split following ‘SMS rumor’ that ‘Vice Chairman Baburam Bhattarai is splitting the party’, Chairman Dahal dismissed it as just another rumor within a dynamic party. This piece comes from sanhati.com, and was written in June 2009. It explains why the Indian Maoists known as Naxals are not simply a “terror group,” but rather they are the front of a liberation struggle that is unlike NGO systems. Posting here does not imply endorsement. While this strengthens the ruling political classes by diversifying its composition (adding the colour red), the problem for the thinking members of the ruling elite today seems to be that there is no credible “left” force out there to contain the “social discontent” of the masses. NGOs, social movements, Hindu right-wing have all failed. Further, there has been a significant exhaustion of the energies of neo-Gandhian social movements (for example the Narmada Bachao Andolan), which were committed to militant but professedly non-violent, non-hierarchical struggles. Concomitantly, there has been the shift of the entire spectrum of parliamentary political parties, including communist parties and social democracy, openly to the right. 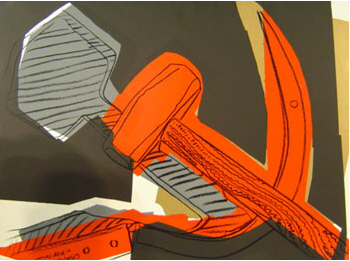 With a security-centric and repressive neo-liberal state destroying the lives and livelihood of millions of people, the change in the role of social democracy means that there is no credible “left” political force that would contain and channel the resistance from these masses along “democratic” lines: a problem for the ruling classes but an advantage for revolutionary forces. 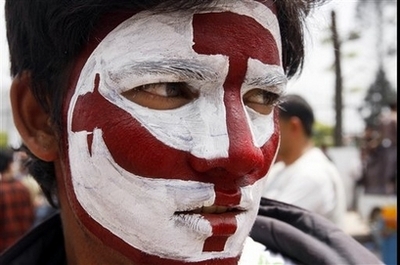 Debate Needed: Is Revolution Possible in Nepal? Dr. Bhattarai gave a speech – Post-Conflict Restructuring of Nepal: The Challenges and Prospects – on March 26 at the Institute of South Asian Studies at the National University of Singapore. When the entire article becomes available it will be printed for debate on SAREV. This speech raises two important questions “What is the military situation in Nepal?” and “Is the International situation a favorable one or an unfavorable one?” As our usual policy, posting here does not imply endorsement. This article comes from thehimalayantimes.com. KATHMANDU: UCPN-Maoist Vice-Chairman Dr Baburam Bhattarai today said a ‘Maoist revolutionary takeover’ is impossible in Nepal at present due to an unfavourable international situation and ‘existing internal military balance’. Presenting a paper titled ‘Post-conflict restructuring of Nepal: The Challenges and Prospects’ organised by the Institute of South Asian Studies of National University of Singapore, he said the second scenario would be a new historical compromise between the two contending political forces — parliamentary democrats and the revolutionary Maoists — to take the peace process to a logical conclusion and make a new constitution through CA to restructure the state, society and economy. “Given the current stage of development of the Nepali society transiting from feudalism to capitalism and the prevailing balance of political forces both internally and externally, this is an historical necessity and most sensible political move for both the sides,” he argued. Thanks to Frontlines of Revolutionary Struggle for pointing this out. Our readers should consider that this report comes from the bourgeois press and uses language that reflects that. Maoist ideologue Ganti Prasadam has warned Chief Minister Naveen Patnaik against going back on his word to release 700-odd tribals lodged in various jails of Orissa. In a statement from jail, Prasadam (55) said it would be Naveen’s great political folly if he “either intentionally or rather out of any compulsion from any quarter allows himself to be swayed by the disruptionist forces of different sorts who are bent upon destabilising the peace process and sabotaging the agreement reached”. The following was written for our Revolution in South Asia Info Project. Alastair’s previous analysis of Wikileaks and Nepal is here. Thanks to Wikileaks, another classified diplomatic cable from the U.S. Ambassador to Nepal was yesterday made public. 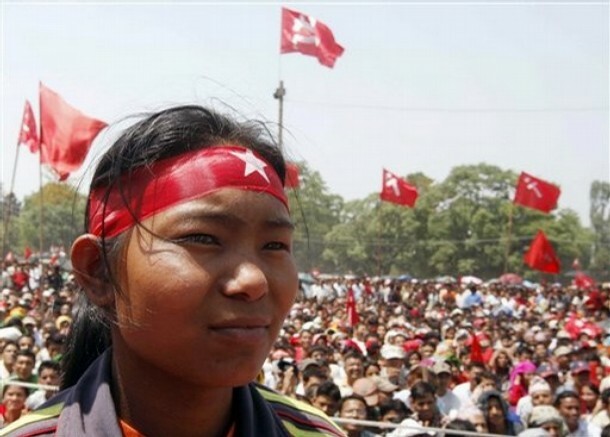 Sent on the 18th of June 2007 under the title “INDIAN OFFICIALS TAKE TOUGHER STAND ON MAOISTS”, it details US and Indian interference in Nepal’s peace process and attempts to push for a brutal security force crackdown on the Maoist movement. Perhaps most significantly, it confirms that from the very beginning of Nepal’s five year peace process India has categorically opposed the integration of Nepal’s two armies — the People’s Liberation Army and the National Army — into a single, new, unified military force restructured to serve a democratic Nepal (and not the previous feudal, monarchical order). This report comes from Himalyan Times. 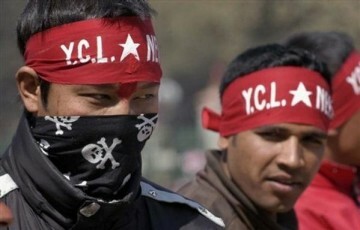 Maoist Politburo member Netra Bikram Chand is the coordinator of the new organisation that has been set up taking up members of Young Communist League, Maoists’ student wing and the disqualified Maoist combatants. Maoist central leader Devendra Poudel and YCL in-charge Ganesh Man Pun are also in it,. 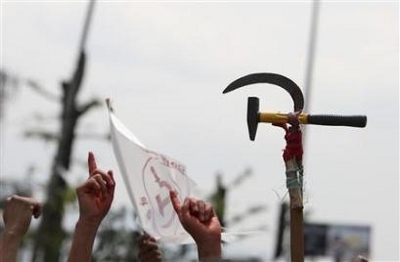 PALPA, March 6: Maoists have stepped up efforts to create yet another combative force called “People´s Volunteers Group” as part of their preparations for “people´s revolt” with the party planning to mobilize some five hundred thousand youths for “people´s service”. According to the leaders of the party, the youths would also be deployed to foil any attempts of reactionaries against the peace process and constitution-drafting. The Italian radical newspaper Il Manifesto recently interviewed Maoist leader Basanta about the latest developments in Nepal. Q. After six months of impasse, the chairman of CPN-UML Jhala Nath Khanal was elected prime minister. 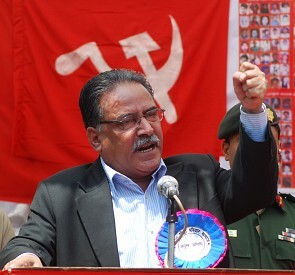 At the last moment, seeing that he could not win this election, the Standing Committee of UCPN-Maoist has decided to cancel the candidature of Prachanda to support the candidacy of Khanal. How did you come to this decision? 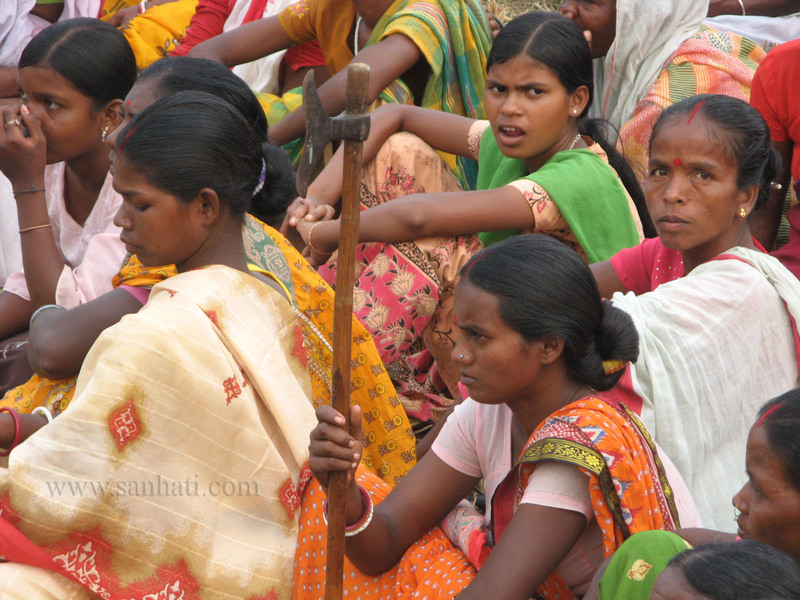 The Indian government continues to launch new, brutal offenses against the CPI(Maoist) and the tribal communities who support it. 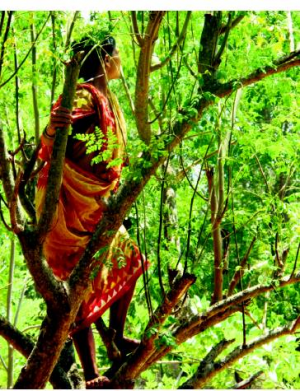 These are part of the government’s larger and more comprehensive Operation Green Hunt . The presentation of these operations in the media is stunning in its own right. Note the dehumanizing language of ethnic cleansing in the following piece–Maoists are said to be “infesting” areas and need to be “combed” out like insects. The following piece from India Express is indicative of the bourgeois press’s deep complicity with the ruthless Indian government. At the same time, it suggests the CPI (Maoist) challenge to the state continues to grow stronger. 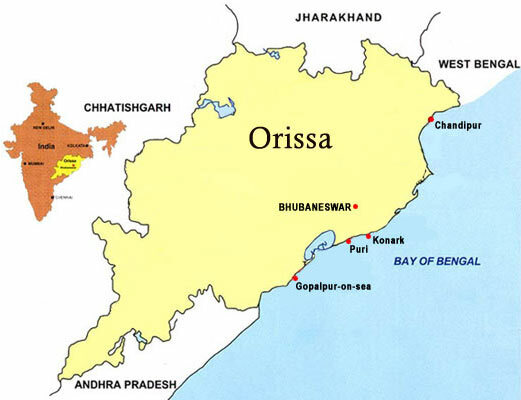 The combing operations in Maoist-infested areas that were stopped last month soon after the abduction of Malkangiri district collector R Vineel Krishna is likely to be resumed in Andhra-Orissa border. The government in the 14-point demand negotiated by a 3-member team of interlocutors last month had said that there would be no “coercive action by security forces as long as Maoists did not indulge in unlawful activities”. But with Krishna and junior engineer free from the clutches of Maoists and the government having kept its promise of releasing 5 Maoists including that Ganti Prasadam, associate of CPI(Maoist) Andhra-Orissa Border Special Zonal Committee chief Ramakrishna, decks are being cleared to launch vigorous combing operations in Malkangiri and Koraput districts. Senior police officials said a meeting is now underway in Bhubaneswar to decide on a joint combing operation of BSF, CRPF and the Orissa’s specialised anti-Maoist force, Special Operations Group. “In reality, there was no official order from the top to stop combing operations. We were informally asked to hold fire till the collector was released. Besides, there was no ceasefire with the Maoists as is being interpreted. The State did not commit anything to the interlocutors,” said a senior police in the Malkangiri-Koraput zone. Incidentally, Andhra Pradesh police never stopped its combing operation on Andhra borders during the collector abduction crisis, confirmed Shashidhar Reddy of Andhra Pradesh Special Intelligence Bureau. We have yet to see an official statement from the central leadership UCPN (M) on these developments. However, it is clear that the line struggles within the party are expressing themselves in the mass organizations affiliated to the party. This is a sign of a real and serious splitting apart. These reports come to us from the bourgeois media – treat them with caution. This site has already carried reports of an earlier split in the union. After Vice-Chairman of the ANTUF Badri Prasad Bajgain declared the formation of a new union federation, the party leadership stepped in and dissolved both the Bajgain group and the official leadership of the union, a group led by ANTUF Chairman Salikram Jammakattel. Until a national convention of the union can be held, Jammakattel is still in charge of the union, and the Bajgain group is reported to have continued parallel activities. Bajgain is reportedly close to UCPN (M) Vice-Chairman Mohan “Kiran” Baidya, a leading advocate within the party for an immediate strategy of people’s revolt. Jammakattel is said to be closer to party Chairman Prachanda, and the leaders of this latest break-away union are reportedly close to Vice-Chairman Baburam Bhattarai. The situation is fluid, with new developments coming in rapidly and little information that can be fully trusted. We recommend our readers to treat these reports carefully. In many ways the question in such a split is “who gets marginalised.” Are the revolutionary elements of this party forcing out a faction unwilling to make a new revolution? Or is this party’s rightwing actively creatively a new and non-revolutionary political alignment? And, if both are happening, who succeeds in defining the political landscape and events. These are major events for revolutionaries, and we urge people to pay close attention and to actively learn deep lessons from these events. Thanks to Red Ant Liberation Army blog for sharing this. Posting here does not imply endorsement of the views presented, but we share for the interest of our readers. Watch the rest of the video series here.